Read all about the brand new, limited edition strain from Philosopher Seeds. Known only as Wifi #43 x Do-Si-Dos, this mind-melting hybrid is exclusive to Zamnesia. If you want to enjoy a cannabis strain cultivated by leaders in their field, then the latest offering from Philosopher Seeds is a must-buy. 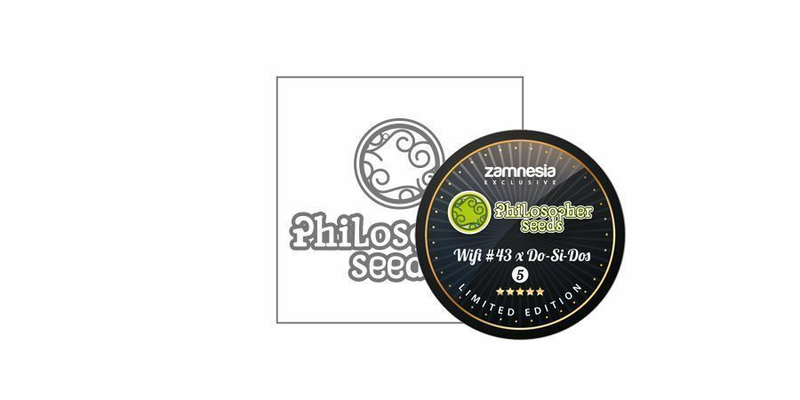 In a pairing more iconic than wake-and-bake or “420-blaze-it”, Zamnesia has teamed up with the prestigious seedbank Philosopher Seeds to bring you something truly original, and truly formidable. 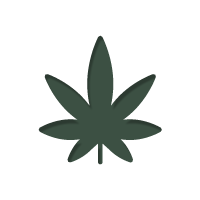 We don’t mean a fresh spin on an already established strain; we mean a brand spanking new, never before seen cannabis strain that boasts some highly sought-after qualities. The breeding gods at Philosopher Seeds have bought their A-game with the strain known only as Wifi #43 x Do-Si-Dos. With only 400 packs available, once she's gone, she's gone. So without delay, let’s jump straight into some background on Philosopher Seeds, and see what it is Wifi #43 x Do-Si-Dos brings to the table. Operating for over a decade, Philosopher Seeds has carved out their place as one of Spain’s premier seedbanks, with a reputation that has spread globally. They pride themselves on being artisans of the seedbank industry, personally curating and hand-raising dozens of prestigious strains. However, they don’t do it alone; Philosopher Seeds has developed a close relationship with several skilled and accomplished breeders. 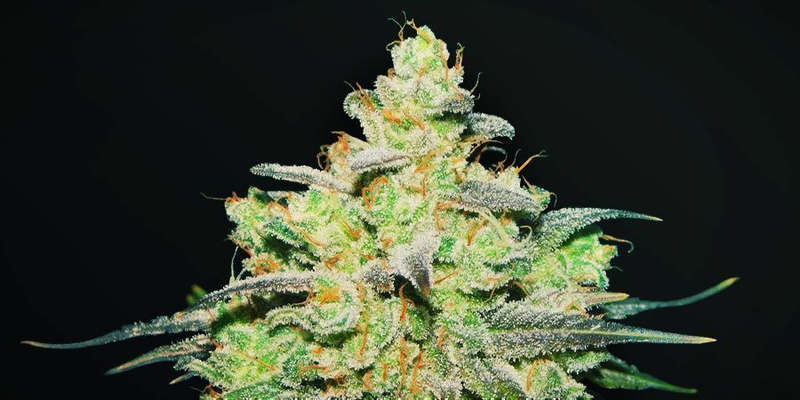 The result is a range of cannabis seeds that caters to all tastes and desires—a range that is almost impossible to choose from because every strain is a masterful feat in its own right. Wifi #43 x Do-Si-Dos is no different, and shows Philosopher Seeds’ dedication to producing the very best cannabis on the market. Before we can understand and appreciate what Wifi #43 x Do-Si-Dos has to offer, we first need to take a look at the characteristics of her parents. It is because of her extraordinary genetics that this particular crossing has gained some supernatural abilities. Wifi #43, aka White Fire 43, is favoured for its pungent earthy aroma and diesel undertones. With her indica-dominant nature, she is highly recommended for unwinding at the end of the day to relax both mind and body. Perfectly positioned to complement Wifi #43, Do-Si-Dos is an equally dominant indica whose flavour sits on the opposite end of the spectrum. Seductively sweet, it doesn't take many tokes for users to detect its floral notes—or for the body-centric high to start taking hold. Both these strains take synergistic breeding to an entirely new level, and as the title indicates, greatness is the result. Wifi #43 x Do-Si-Dos is a rollercoaster ride that starts in euphoria, before a loop-de-loop takes you into the realm of complete relaxation with an intense body buzz. Like a soothing embrace that radiates to every extremity, the indica dominance provided by both parents is in a league of its own. Make sure your schedule is clear, because this beauty will spend hours comforting mental and physical aches and pains. WHAT IS WIFI #43 X DO-SI-DOS LIKE TO GROW? This phenomenal strain is just as enjoyable to grow as she is to smoke. She isn’t fussy, and won’t severely punish growers for simple mistakes. In fact, treat her right, and the terpene profile is exquisite, engulfing the senses both indoors and out. Flowering takes roughly 65 days, by which point hues of deep purple will have taken hold. Look a little closer and you will see the thick resin that covers her dense buds—ideal for explosive cannabis concentrates. Weed Stems: Don't Throw Them Away! Yields won't disappoint either, as 500g/m² is more than possible thanks to the genetic stability afforded by Philosopher Seeds and their breeding prowess. To commemorate the exclusivity of this strain, special packaging has been designed, along with a limited number of packs—only 400! Knowing what Philosopher Seeds is capable of, the traits of this groundbreaking strain are hardly surprising. Moreover, with only a limited number of packs (5 seeds per pack), it won’t take long for this meticulously developed strain to fly out the door. If you want a sensory experience like no other, grab Wifi #43 x Do-Si-Dos while you can—only available at Zamnesia!